Beware lest it become for you your source of daily bread. It’s telling a partial truth. Its perfect squares are friend to the proverb, the promise, and the partial quote, leaving laws, lists, land allotments, and long-stretching lessons to languish off-screen. My daughters, do not misunderstand. 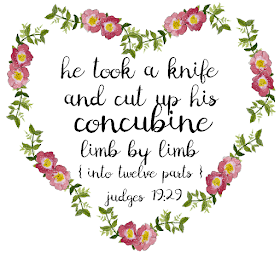 Like you, I do not wish to pull up my Insta account to find Levitical laws picked out in filigree and flowers. Nor do I desire genealogies superimposed on sunsets. I do not harbor a puritanical hatred of beauty, nor do I detest the illumination of a holy text by an ardent scribe. May I be the first to hit “like” on a timeless word of encouragement. I do not ask the Instagram Bible to be all things. I can value, even enjoy it for what it is. But drawn by the glow of its inviting warmth, I must ask myself—and you—to view it with care, lest we love the part in place of the whole. Lest we live as those in a vision by night, as those ensnared in a dream. Beware the Instagram Bible, my daughters. It shines a partial light. We must know it both for what it says, and for what it does not.